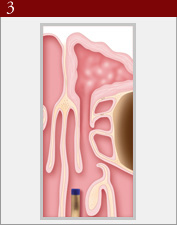 What are the Balloon Sinuplasty™ devices? Does surgery with the Balloon Sinuplasty™ technology work? Are the Balloon Sinuplasty™ devices safe? How long does it take to recover from a typical surgery using the Balloon Sinuplasty™ system? Does surgery with Balloon Sinuplasty™ devices limit my treatment options? Are Balloon Sinuplasty™ devices right for me? How do I find an expert in Balloon Sinuplasty™? “Sinuplasty” is the term that is sometimes used to refer to the Relieva Balloon Sinuplasty™ and Entellus XprESS™ devices that Dr. Roesler may choose to use during your minimally invasive endoscopic sinus surgery. The words, “Balloon Sinuplasty™,” when used together, describe the use of a sinus balloon catheter to surgically dilate and repair the sinus ostia during a functional endoscopic sinus surgery, or FESS procedure. FESS is a minimally invasive surgical procedure to open up air cells and sinus ostia (openings) in patients suffering from chronic sinusitis. FESS involves the insertion of an endoscope into the nose for a direct visual examination of the openings into the sinuses. Using the endoscope and a combination of surgical tools, e.g., curettes, forceps, powered micro-debriders, powered shavers, and / or sinus balloon catheters, surgeons enlarge the patient’s sinus openings to clear passageways in order to restore normal sinus ventilation and drainage. Gain Access to the Sinus. To gain initial sinus access, a sinus guide catheter is introduced into the nasal cavity to target the sinus ostia under endoscopic visualization. A sinus guidewire or a sinus illumination system is introduced through the sinus guide catheter and gently advanced into the target sinus. Inflate Balloon Across Ostium. The sinus balloon catheter is introduced over the sinus guidewire or sinus illumination system and positioned across the blocked ostium. The position of the sinus balloon catheter is confirmed and the balloon is gradually inflated to open and remodel the narrowed or blocked ostium. Deflate and Remove Balloon. The sinus balloon catheter is then deflated and removed, leaving the ostium open allowing the return of normal sinus drainage and function. There is little to no disruption to mucosal lining. The Balloon Sinuplasty™ devices are FDA-cleared, endoscopic, catheter-based tools specifically designed to be used in sinus surgery. The Sinus Balloon Catheter is gradually inflated to gently restructure the previously blocked nasal passage, maintaining the integrity of the sinus lining and restoring normal sinus drainage and function. Clinical studies have indicated that using Balloon Sinuplasty™ technology is safe and effective in dilating sinus openings. While use of any surgical instrument involves some risk, clinical research has indicated the Balloon Sinuplasty™ technology to be safe. Furthermore, balloon catheter technology has been used successfully in other medical procedures such as balloon angioplasty for the heart. Because the system is minimally invasive it is typically used in an outpatient setting. While recovery time will vary from patient to patient, many people can return to normal activities within 24 hours after surgery. No. 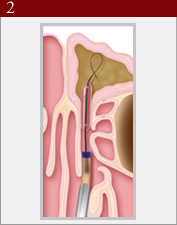 Balloon Sinuplasty™ devices are endoscopic tools used within FESS and may be used with other medical therapies. They do not limit future treatment options for patients with progressive disease. If you suffer from sinusitis, and medical therapy has not been effective in relieving your symptoms, you may be a candidate for surgery using the Balloon Sinuplasty™ device. Talk to Dr. Roesler about whether use of these FDA-cleared, endoscopic, catheter-based tools are right for you. How do I find an expert in Balloon Sinuplasty™ ? Dr. Roesler is one of the foremost experts in Balloon Sinuplasty™ and minimally invasive sinus surgery in Los Angeles. He has extensive experience using both of the FDA-approved balloon sinus dilation devices: the Acclarent Relieva Balloon Sinuplasty™ catheter and the Entellus XprESS™ multi-sinus dilation tool. Depending on the situation, Dr. Roesler performs these procedures either in the office using local anesthesia and in the operating room under general anesthesia. Dr. Roesler also specializes in the treatment of nasal and sinus polyps, chronic rhinitis, and nasal obstruction. Q: What’s the Best Wrinkle Filler? Q: Are There Any Botox Alternatives?